I've given in to my biological clock. No, I'm not having a baby (much to my mother's disappointment), but I have given into another innate instinct that seems to start once you hit 30: throwing dinner parties. Problem is, when you grow up in a family where "home cooking" meant buying a rotisserie chicken at the grocery store and making some Minute Rice, you've got a bit of a culinary learning curve when you hit adulthood. (Hi, that's me.) Luckily, the internet is a wonderful classroom, and turns out Googling "cooking for the inept" can actually turn you into a halfway-decent chef. Still, I'm no Barefoot Contessa. But I do want to make sure everyone who comes over for dinner leaves feeling satisfied, and if I'm being truly honest, impressed. That's where the bistro napkin comes in. 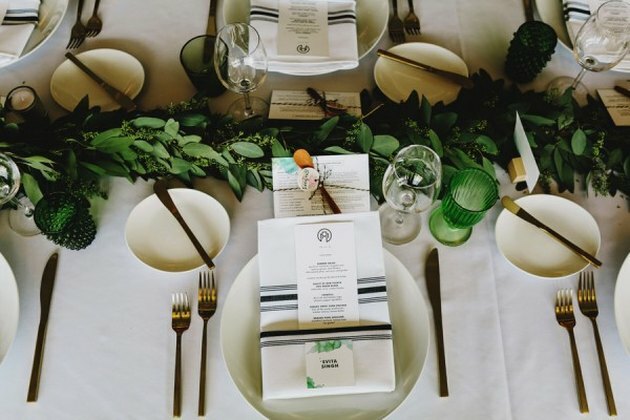 There's something about a classic stripe that makes everything on a table appear restaurant quality. 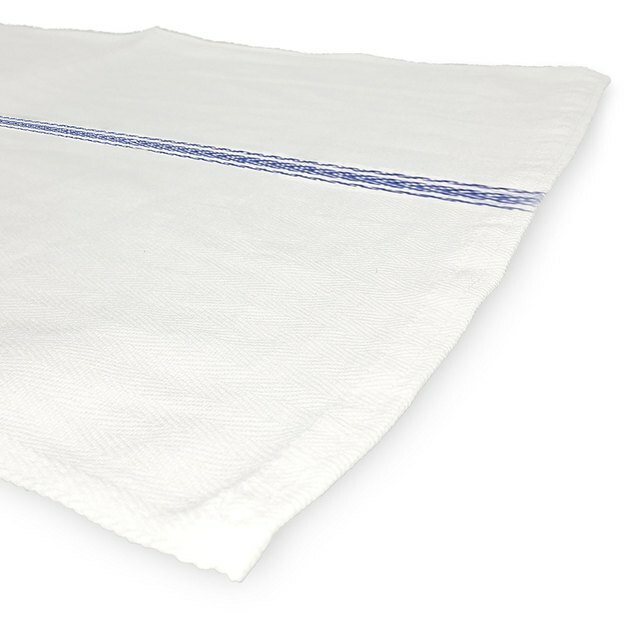 Other bonuses: They're super absorbent and machine washable, which means they are great for messy meals and eaters, cleaning up spills, and drying dishes at the end of the night. They're fairly ubiquitous, and you could, of course, spend $20 to $30 at your Anthropologies or Williams-Sonomas for a set of four. 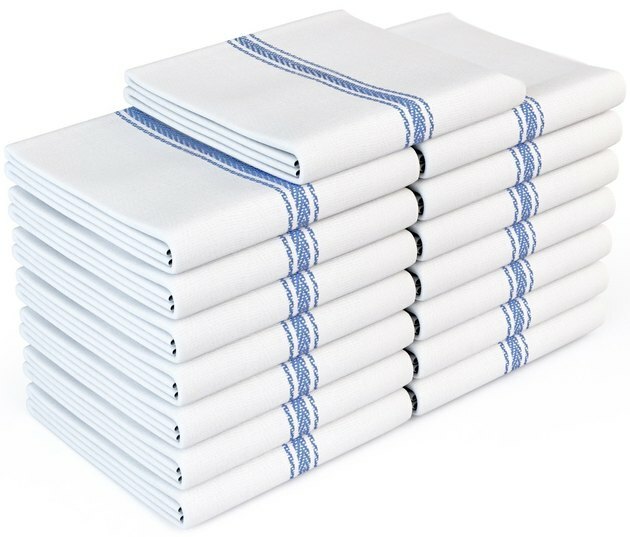 But I prefer stocking up on the type of no-name tea towels you can score on Amazon — at the insane bargain price of $17 for 15 napkins. Meaning, if you ruin one by lighting it on fire while attempting to use a searing torch, or you know, another way, odds are you'll still have more than enough to set your table. And if that somehow happens more than once (again, far from a gourmet chef over here), replacing them won't break the bank.